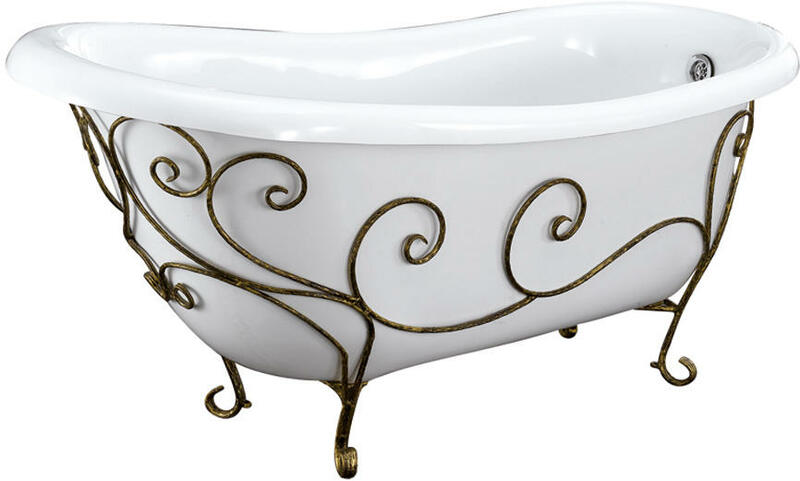 Time to glam up your tub! 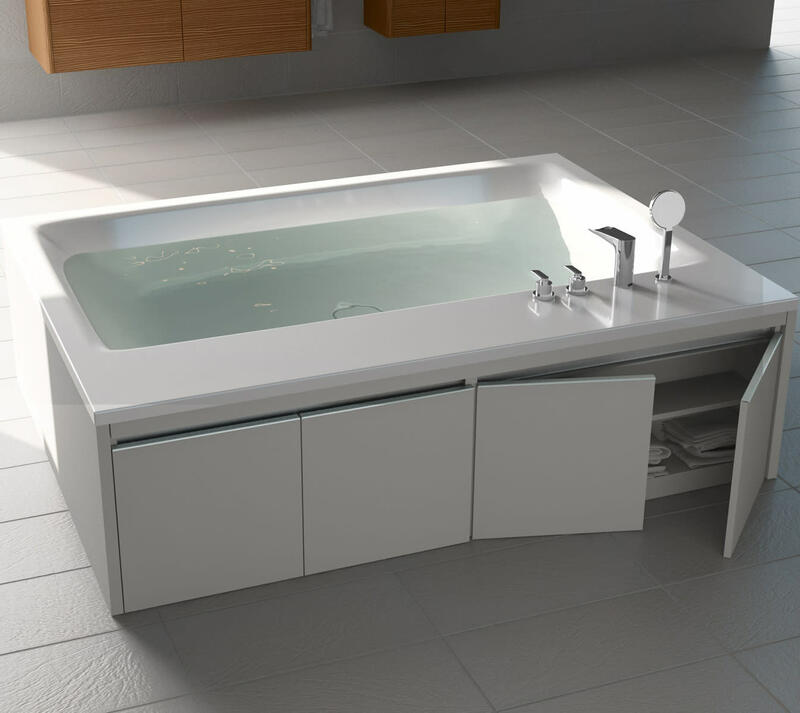 When you choose a bathtub, you agonize over the shape, the size, the material, the type – freestanding, undermount, drop-in? Whirlpool, air tub, or soaker? Slipper? Clawfoot? Acrylic, copper, stone? The choices are endless. Ready to complicate the decision a bit more? Okay, not really. 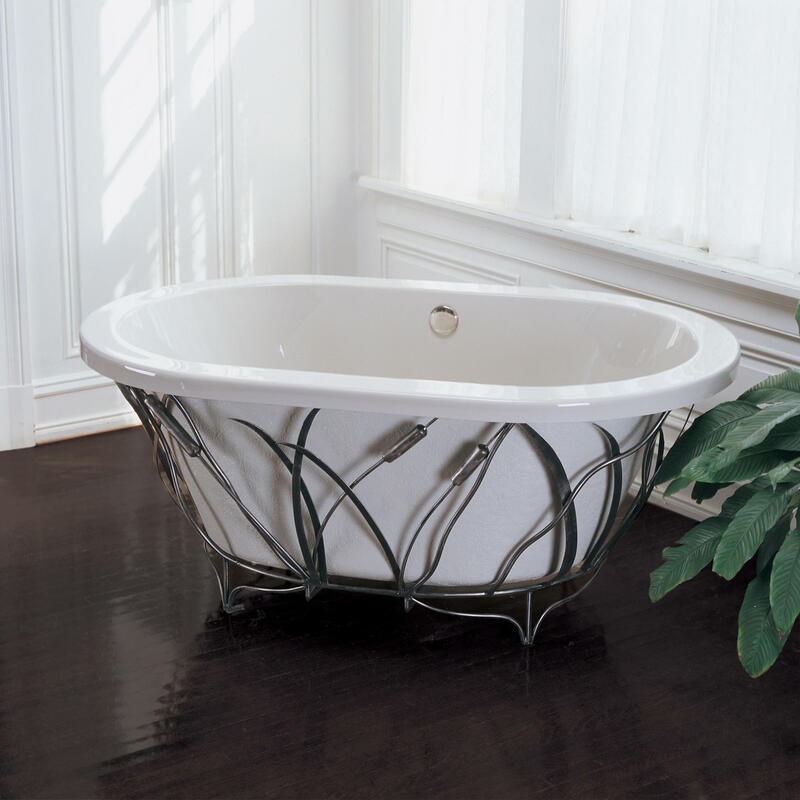 But the bases on these tubs transform the tub from standard to stunning. 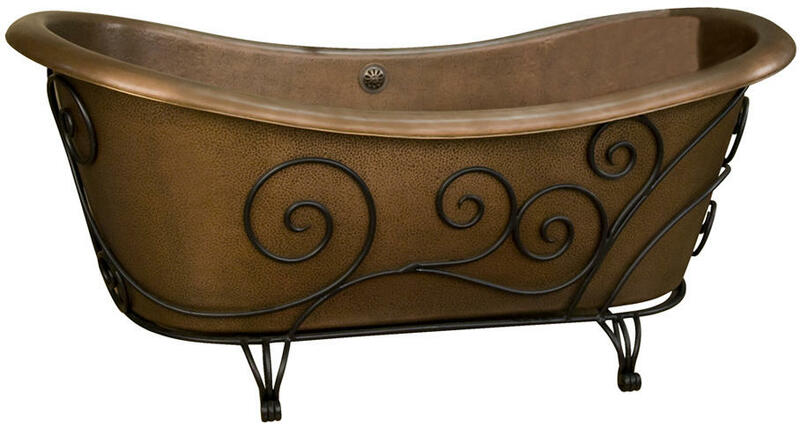 Add a base to take your bathtub to the next level. 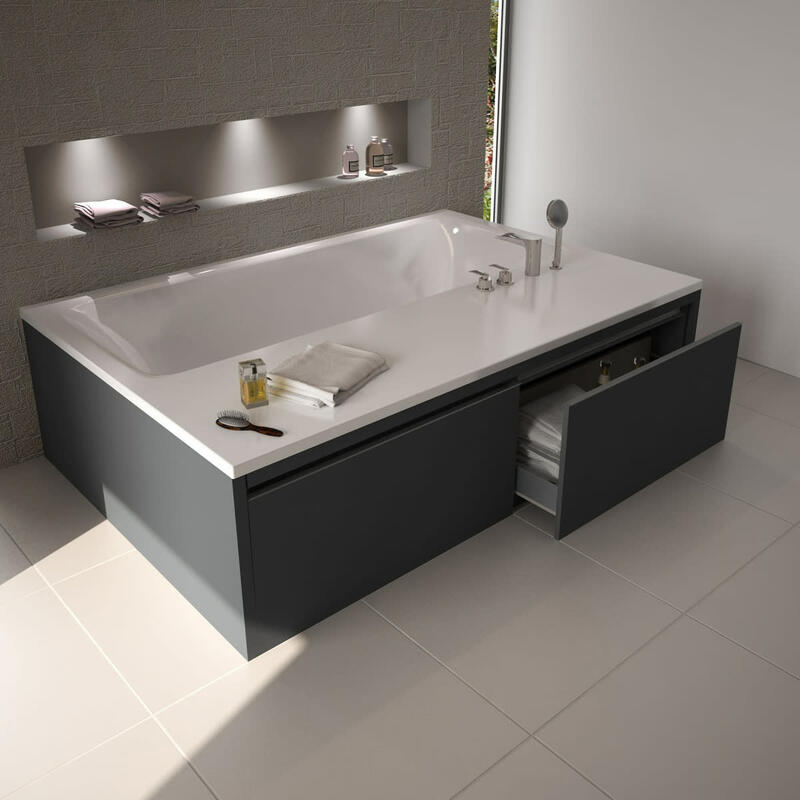 While tubs raised off the floor are beautifully stately, flat-bottomed bases can be just as striking. 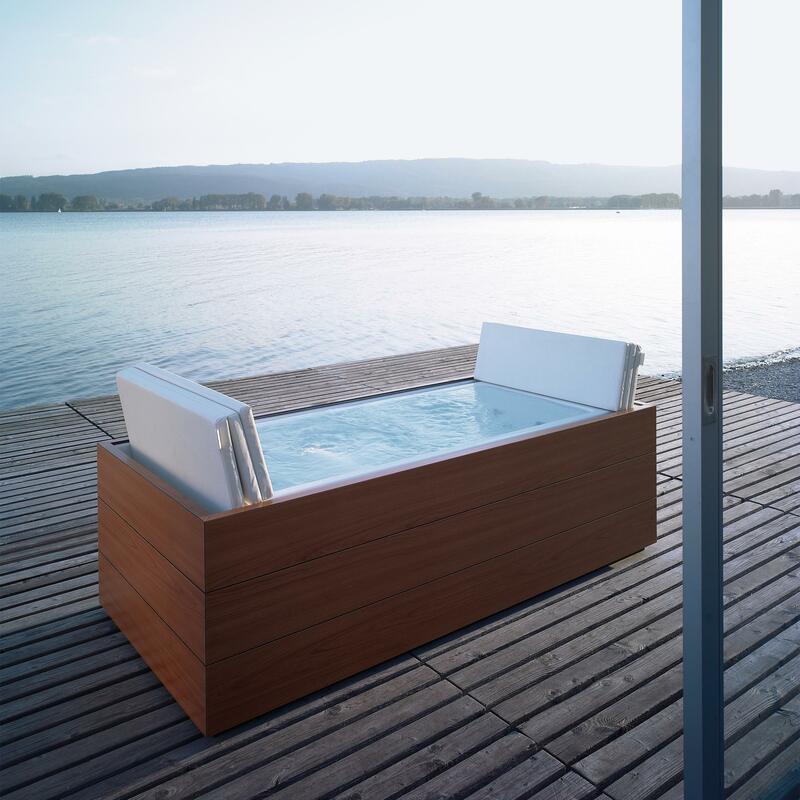 How will you elevate your tub?